The St. Simons Lighthouse is a shining example of history and tradition in coastal Georgia. From wars to storms, the St. Simons Lighthouse has weathered the tests of time. A navigational aid on St. Simons Island since the 1800s, this beacon of regional history beams its light some 23 miles out to sea. The structure, which is walking distance from The Lodge at Sea Island, is “probably the single most iconic building in the area,” according to Mimi Rogers, curator of the Coastal Georgia Historical Society (CGHS). In the first couple of decades after the Revolutionary War, plantation owner John Couper deeded 4 acres of land at the south end of St. Simons Island to the federal government. Another notable figure, James Gould, secured the contract to build the St. Simons Lighthouse on that very parcel for $13,775. It was finished in 1801, and Gould was appointed the first lighthouse keeper for an annual salary of $400. The lighthouse was constructed with brick and tabby, a concrete-like building material made of oyster shells, sand, water and lime that is often used in Southern coastal regions. In 1861, the original structure became a casualty of the growing war between the North and the South. Rather than abandon it to the Union Navy, retreating Confederate forces made the decision to destroy it. After the Civil War ended in 1865, the U.S. Lighthouse Board began to draw up plans for a new lighthouse, with architect Charles Cluskey acting as contractor from 1868 until his death in 1871. Orlando Poe, as chief engineer for the board, supervised the design. It was completed in 1872, and this second version of the lighthouse is still standing today. Lighthouse keepers maintained the structure with meticulous attention to detail. “The most important duty of a lighthouse keeper was to keep the light shining, so their days really revolved around the night,” explains Sandy Jensen, the education director at CGHS. This process, she notes, began an hour before sunset, when the keeper would haul large oil canisters to the top of the tower, trim the wick of the lantern and ensure everything was spotless. At dusk, a lit lantern signaled the start of yet another process: keeping the lens flash panels turning using a weight system that had to be physically wound while watching for passing ships and other signs of distress. Come morning, the keeper cleaned—windows, floors and every last glass prism in the Fresnel lens. In a 1928 entry from the keeper’s logbook, Carl Olaf Svendsen, St. Simons’ longest-serving keeper, chronicled the harrowing ordeal that he and his assistant experienced when a piece of debris broke a storm window in the lens room. Up all night, the men held a piece of paneling to the broken glass to keep the wind from snuffing out the lantern flame or allowing more debris to harm the priceless lens. Despite the many challenges, keepers of the St. Simons Lighthouse seemed to enjoy their work. “My favorite keepers were the Peckhams, Isaac and Dora,” Jensen says. “[They] were avid gardeners and hunters, which we mostly know because the newspaper wrote about them rather prolifically. 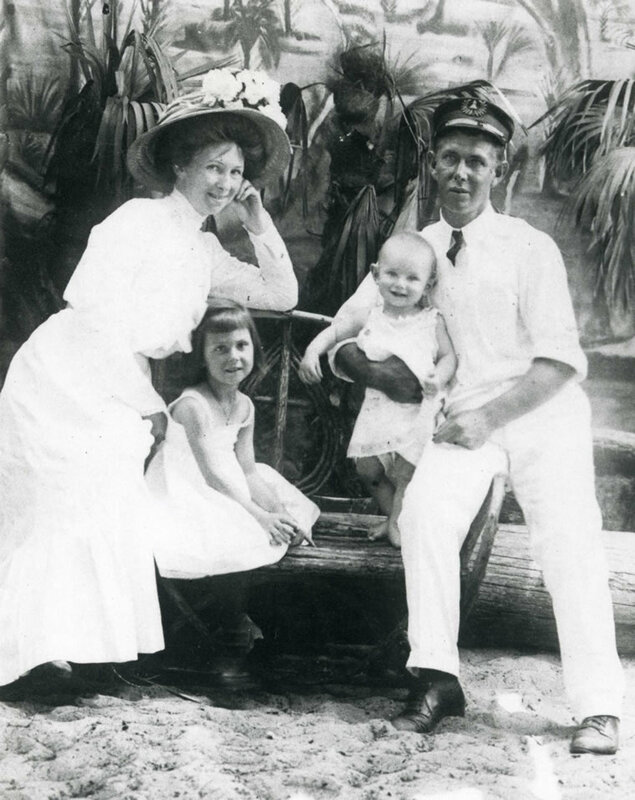 Mrs. Peckham was known as the best shot on the island.” The Peckhams were one of only two couples with both husband and wife serving as employees of the Lighthouse Service. A sparsely populated place for most of the lighthouse’s existence, St. Simons Island was dominated by the timber industry in the latter part of the 19th century. Later years brought summer recreation, thanks to the completion of the causeway in 1924 that linked the island with the mainland city of Brunswick, Georgia. This opened the island to tourism, especially at nearby Sea Island. 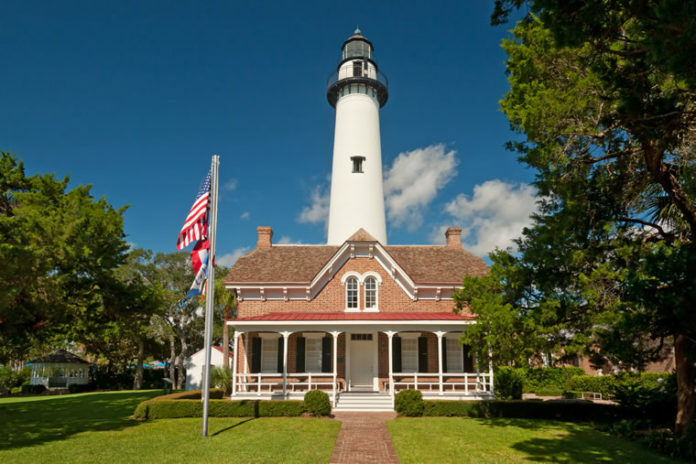 Then, the St. Simons Lighthouse converted from the kerosene oil lamp to electricity in 1934, underwent mandated blackouts during World War II and became fully automated in the mid-1950s, so a residential keeper was no longer needed.